Recognition: Skinny erect leaves. 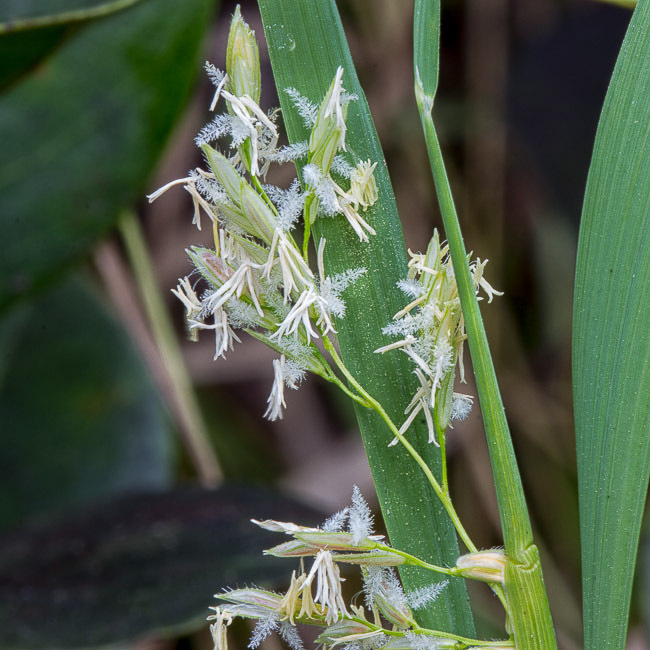 Sparse inflorescence. 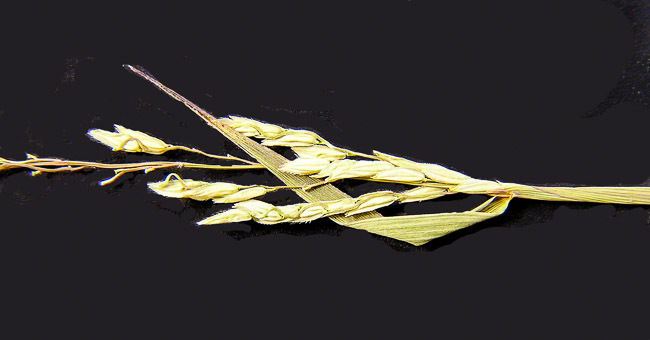 Resembles thin, sparse Panicum. 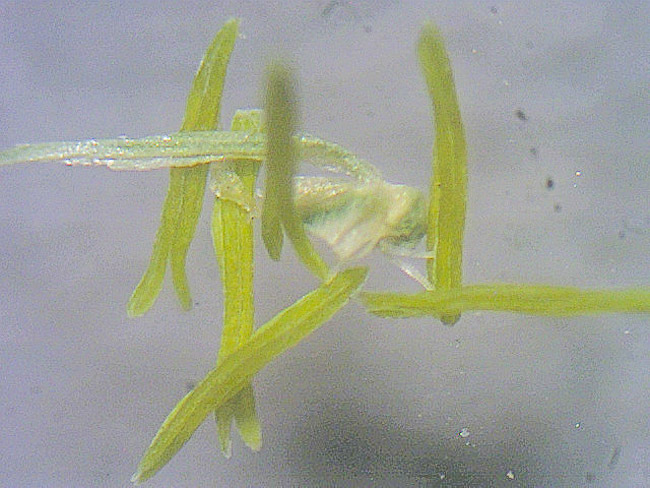 Spikelet strongly laterally compressed. Lemma hispid. 6 stamens. Glumes absent. 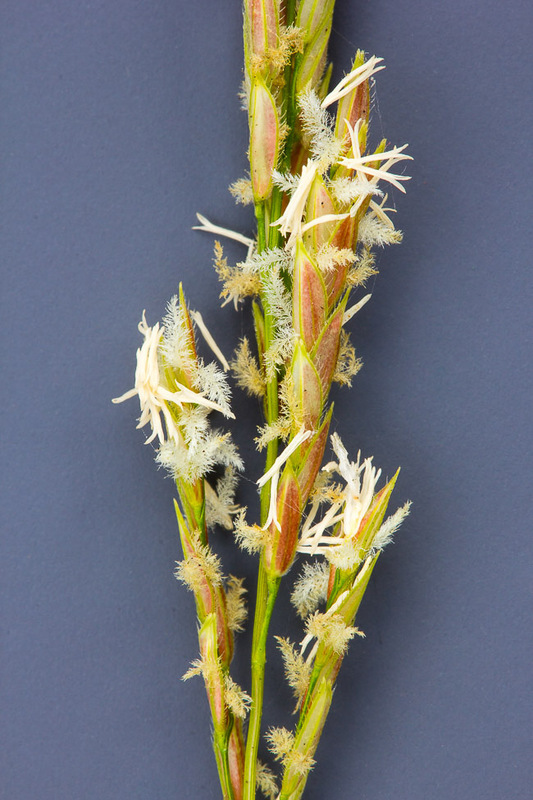 Inflorescence axes zig-zag.